I dreamt I pursued I accomplished" that's how Chadar happened to me...And in this Go2ladakh (trek lead, Wandering soul riders group) was my guiding force, he's such a calm and composed leader, strict but sweet and holds good knowledge about his work. Our local guide Tsetan stanzin was awesome without whom this journey would have been difficult and the cooks ohhhh man they served us such yummy and variety of food at such an altitude and extreme conditions thats commendable. 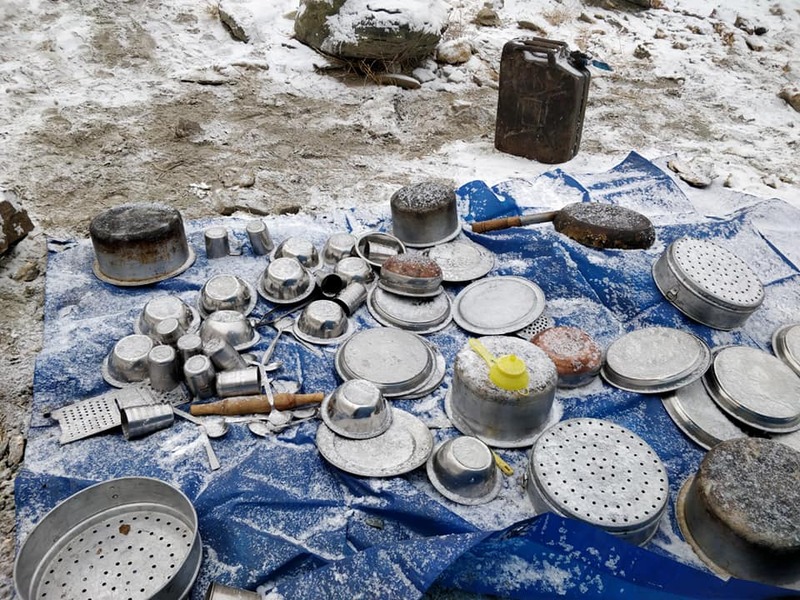 We successfully completed the expedition from Shingra Koma to frozen Nerak waterfall & back on 20th Jan 2019. 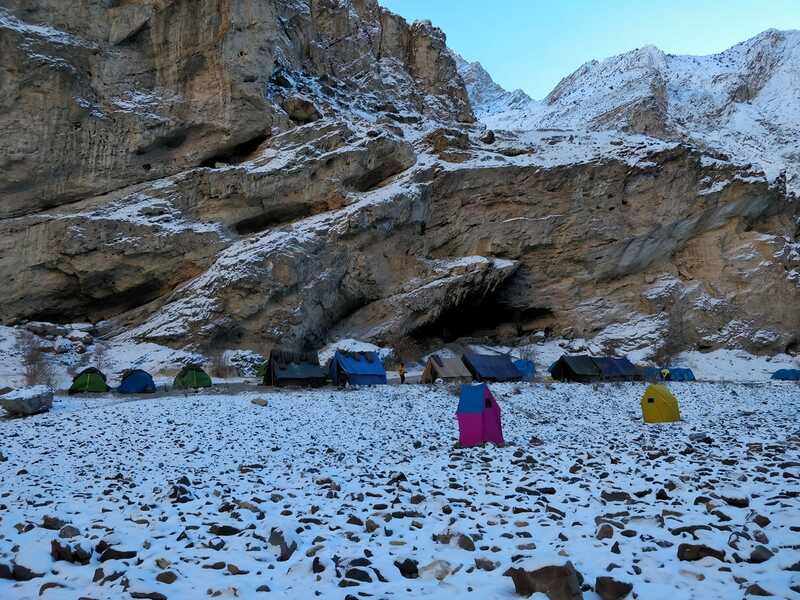 Walked over frozen Zanskar river for over 5 days ,approx 65-70 Kms and halted in tents at nights at 3 different base camps namely Tsomo Paldar, Tibb caves and Nerak. Chadar Trek is not just an expedition it's an experience to be cherished for lifetime, it's the time to test your limits, an opportunity to peep into another world of mankind which was like a dream world beyond my imagination and full of surprises some pleasant some harsh.It was real test of physical and mental strength. 3 months of preparation and focus on fitness paid off well. 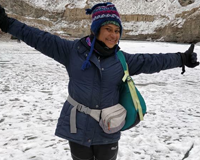 Spending 9 days ( 4 days in Leh at homestay & 5 days trek) in minus degrees (it dropped till -30 during nights) was not something which any Mumbaitte like me could easily bear. During the trek, any rare chances of getting sunrays was like real ray of hope which would keep us going.The breathtaking views & intriguing snow clad mountains would bring smile on our face despite of tiredness and exertion. It was magical to see how Chadar changed its face within span of a day and sometimes even in few hours. We walked on clear path one day, the next day same path became difficult to cross due to melting of the frozen river, sometimes we had to climb up steep mountains having narrow path and scary views and sometimes we had no option but to walk through chilled water numbing not only legs and toes but our senses too. It was extremely adventurous.I would call it fear factor ka baap. porter job is extremely tough ,as per standard policy of adventure trekking . they have to carry maximum 18 KG of guest luggages plus own stuff. Arranging own food and shelters it, They have reach to next destination by prior of 2 or 3 hrs. it very challenges to manage as per our common person view. but they manage very easily and comfortable space during the chadar trek . 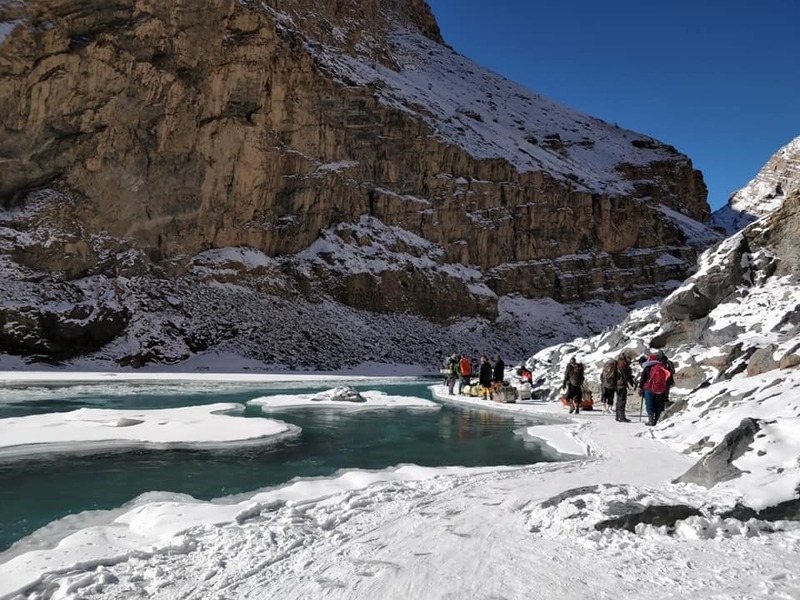 most of them almost spend 1-2 months on extremely cold valley adventure chadar trek route by managing fixed schedule of group contract with travel agent or guest directly. Local porters and guides were kind enough to help us overcome all the hurdles which came our way during this journey.They go through so much hardship to earn for their living. Even the college students from the Zanskar and chang-tang village back to leh for winter work as porters during the Chadar trek season as they have winter holidays. They will earn the around 40k to 50k within 40 days , after chadar trek they will back to their study places and academic ,it very hard work earning , special they use for their education purpose or some manage with pocket money . it very amazing and challenging expedition but honestly it not advise for every one and can complete by every trekker , there so many trekker not able to complete chadar trek due to health issue and sickness back to leh on half way . if you have health issue and problem please take proper guidance from doctor or local expert. But there thousands trekker who complete journey successfully but left foot print on chadar trek with of plastic and garbage there . it totally harm our environment and Himalayan region , I advise and request every one please be responsible and eco tourist . This triumph wouldn't have been possible if this crazy bunch of people had not accompanied me. This foodie and photo crazy gang was fun to be with.